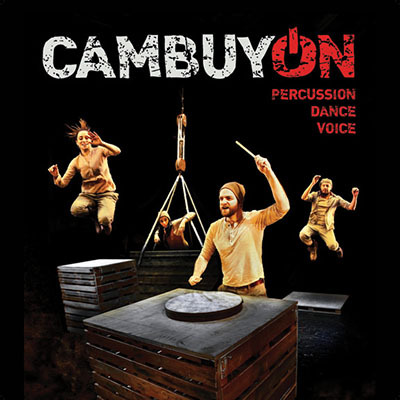 CAMBUYON | Love Productions Inc.
CAMBUYON is an interdisciplinary high-energy show that combines Tap Dancing, Body Percussion, Hip-Hop, Drumming, Singing and other disciplines closely related to percussion. The show is the outcome of a long study of the links between traditional Clogging of the north of England, Tap dancing, Hip-Hop, Latin rhythms, Body Percussion, Drumming and the human voice. Seven performers share their vision on how rhythm has evolved through cultures and time in a theatrical and humorous way. The show is co-produced by the Auditorio de Tenerife (Tenerife Opera House) and the theatre L’Estruch de Sabadell (Barcelona).